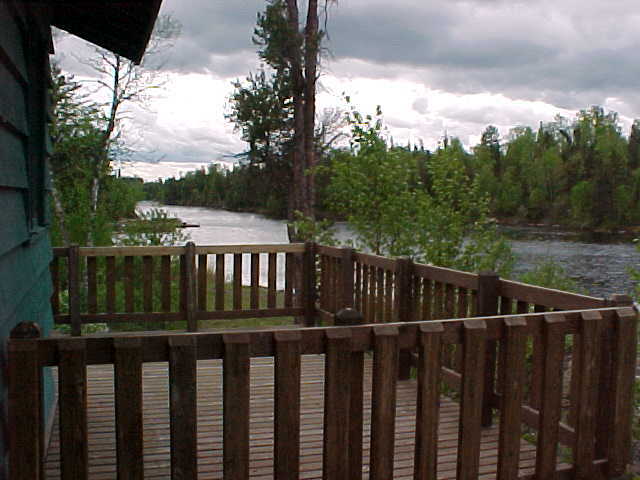 Our Riverside Cabin on the Seagull River is open and waiting for you. It has a gorgeous view, a nice deck and a private dock. It’s comfortable and quiet and a last minute cancellation made it available for you to enjoy from now until July 2nd. We would hate to see it sit open so we’re offering it for just $250. Not $250 a night, just $250 total. You can come today and stay until the 1st of July for just $250. How is that for a deal? There’s a full kitchen, living room, bathroom, two bedrooms and we provide towels, linens, blankets and pillows. You can rent a boat and explore Saganaga, take a canoe and visit the Palisades on Seagull, walk over to Chik-Wauk Museum and Nature Center or hike any of the nearby hiking trails. Or just sit back and relax. We would love to have you as our guest so give us a call and book your stay today. 218-388-2224.